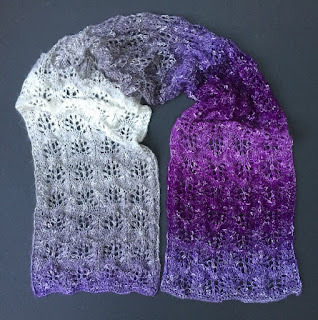 For impatient knitters here is a quick project. 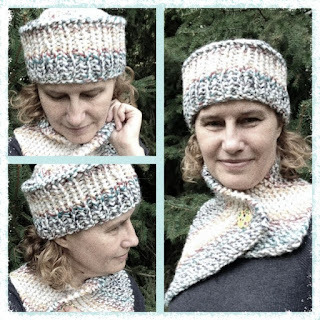 In a couple of hours you can have this very trendy asymmetrical cowl and in another couple of hours, you can have a cool, matching hat to go with it. The hat will look great on men and women - you just need to choose the right color and you have a unisex pattern. No matter who you will knit either just a hat or both the hat and the cowl for, the person will look fashion forward. It will keep the person warm when snowflakes are coming down or when it is just cold outside. Use any super bulky (#6) yarn, choose a color to match your loved one's personality and you have a winner. 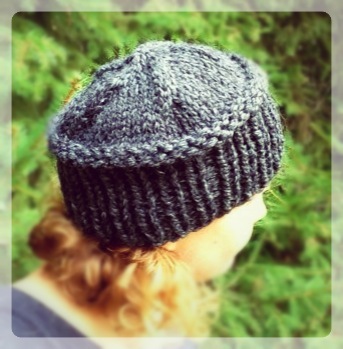 There is a video tutorial for a hat. If you are a lefty knitter then CLICK HERE. All right-handed knitters CLICK HERE. Row 117 BO all stitches and weave in both tails. 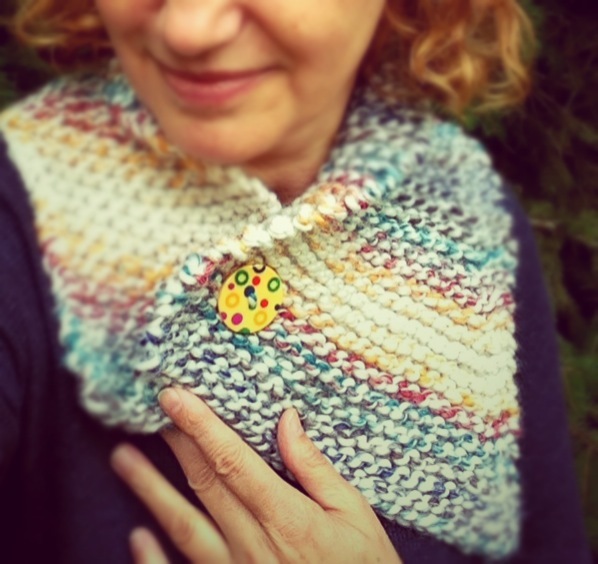 Wrap your knitted cowl around your neck, with straight side up, and pointy tip down, and overlap both ends in such a way that is perfect for you. Notice where the buttonhole is placed over the bottom end part, mark it and sew in that spot your chosen button. BO by pulling last knitted stitch through all remaining stitches. Weave in all ends.